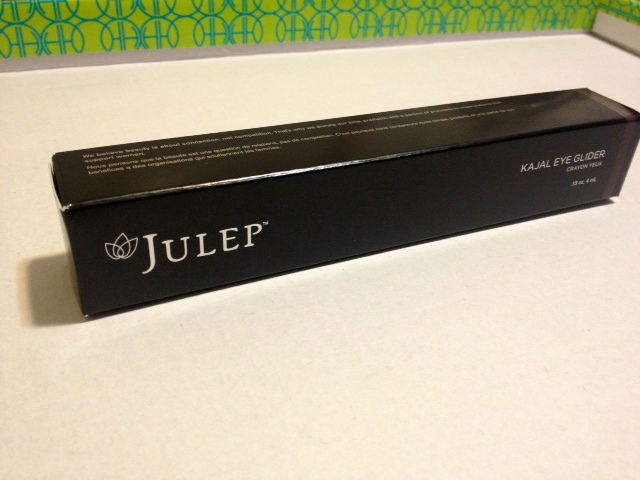 It’s Julep Maven Box time! 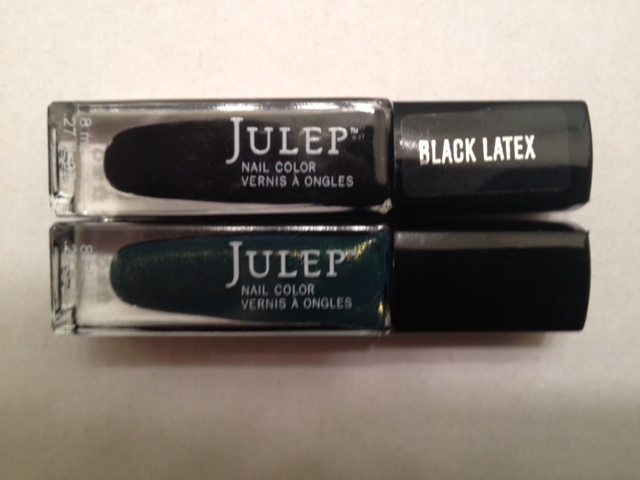 For those who don’t know Julep Maven is a nail polish and beauty subscription. Each month 21st- 24th we get to see the 5 box choices that cost $19.99. If you don’t like any of the boxes you can skip the month. If you love the whole collection you can upgrade for $30 dollars. There are also add on’s where you can add on special nail polishes for a good price. I am late to posting this, but late last week I received my October Box. It was a little disappointing that they never sent me a tracking number until it was practically here (come on what is that about). Anyway I chose the Bombshell, and added on Casper and Dahlia. Well it glides on very nice and smoothly, but that’s about all I like about it. I put it on not much later I had raccoon eyes. I am so picky with eyeliner because it smudges very easily with a lot of brands I have tried. So not a fan, not sure what I will do with this. I love my Stila Stay All Day Waterprood Liquid Eye Liner, best stuff in the world. I will stick with that. Cleopatra has the latex finish, so it like a matte black. 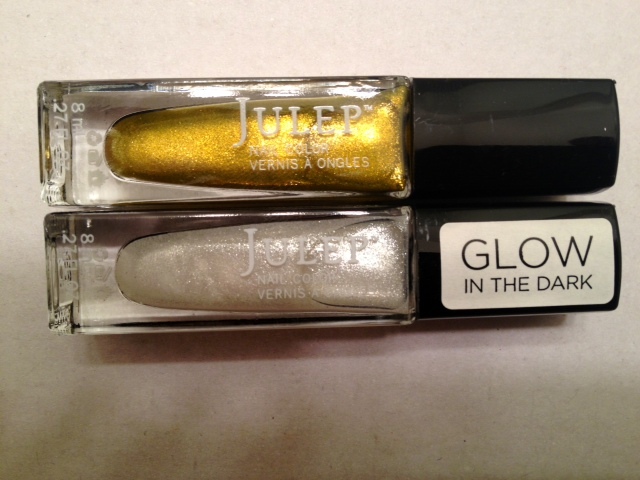 It’s very interesting, with one coat it is opaque ( I use two). It definitely shows your ridges in your nails though so make sure your nails are smoothed down. Dries mega fast.I do love this thought. Valerie is so very pretty, no clue why it is advertised as teal. No way is that teal! It is a dark green with a nice shimmer. I like it though. I had to add these on. I don’t what it was about the gold shimmery Dahlia but I had to have it. Love it, I’m looking forward to wearing it. I tested it on my finger I love it. Great Octobery color. I will be using this shortly! And Casper. How could I not? Casper is a Glow in the Dark Polish. How cool is that? Just be sure you “charge” it, but placing it by some natural light (or for those in a rainy place like me put it next to a light). It is supposed to brighten it up so it isn’t as dim on your nails. I didn’t do this, but I learned. It has a nice shimmer to it, works well just as a polish itself. Can be used alone or on top of a color. COUPON: Use code FREEBOX to get your first box for free! Please my referral link if you join up! « BarkBox September 2013 Review.